Bonefishing on Bonaire: the pursuit or art of capturing and releasing the elusive Warashi. The shallow, gin-clear flats of Bonaire are home to these shiny, iridescent graceful creatures. 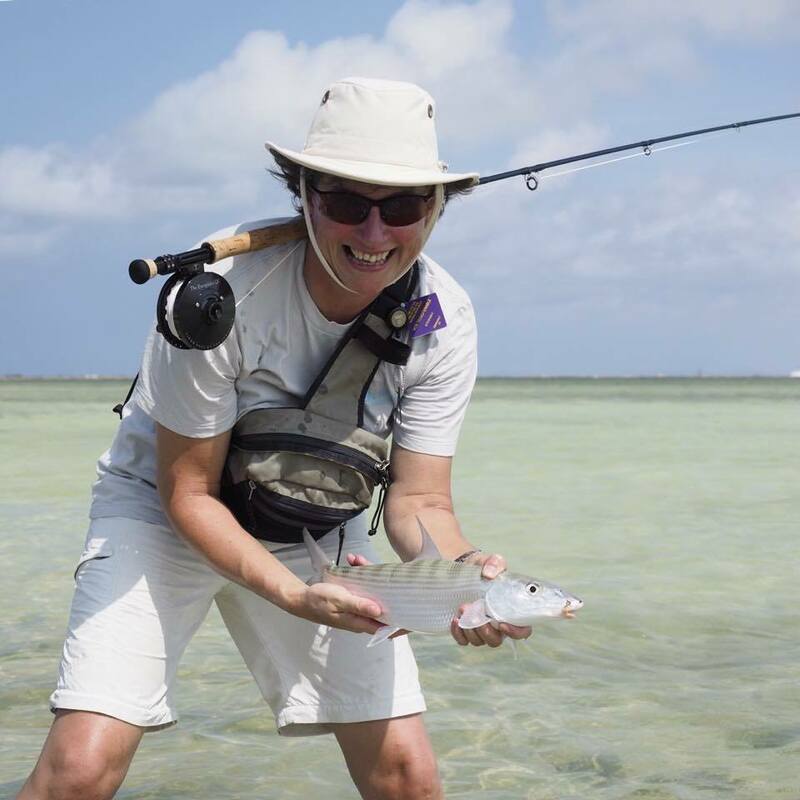 As a windsurfer, planing on the water, I often see Bonefish gliding under my board. Sometimes, walking in the shallows, they dart around my feet, shyly playing. In Bonaire, they are called Warashi. I have watched many clients Bonefish in Bonaire. One invited me to try it on a sunny windless day. As a person who practices and teaches Mindful Meditation, I can say, Bonefishing is Zen. Quietly, oh so serenely standing in the crystal clear water, posturing your body, making careful, deliberate motions with your crafted rod is mindful. It’s quite peaceful. i was not successful that day but I was told practice makes perfect. To learn more about Bonefishing on Bonaire, email the water sports specialist, Ann Phelan at ann@bonairecaribbean.com. Bonaire is an unspoiled Caribbean outpost. You will often be the only one out on the flats. This is a secret spot so hush, come and experience the lure of the Warashi. This entry was posted on September 24, 2015 at 11:00 am and is filed under Activities. You can follow any responses to this entry through the RSS 2.0 feed. You can leave a response, or trackback from your own site.